Growing up I was always surrounded by cheap body mists from the drugstore. It always seemed ridiculous to spend hundreds of dollars on a scent. With my mom always grabbing fragrances from Victoria's Secret, I always thought that was as fancy as you needed to get. While I still purchase cheap perfumes, I've learned a few things over the years. One of the discoveries I made was why people spend a ridiculous amount on perfume. Not only does it last longer, you just need one squirt to get the job done (whereas a Wal-mart mist takes half the bottle to feel properly coated). 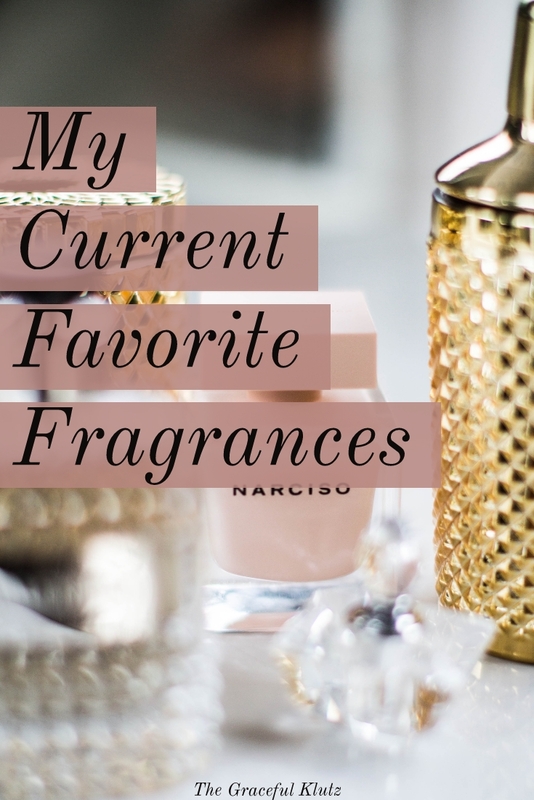 Since making this discovery, I have uncovered some of my favorite fragrances out there. While we all have a different nose that likes unique scents, I think these choices will quickly be put on your shelf after smelling them. For the most part, I go for a deeper scent that has a bit of musk to it. I do have a summer scent, but I always reach for those darker undertones when choosing a perfume. If that is you as well, these will be the fragrances for you. If you don't know, I will encourage you to go to your local Sephora (or the equivalent where you are) and spritz away. I'll leave all perfumes below so that you can purchase them for yourself! I'm starting off with my all-time favorite perfume out there. I've bought too many of these bottles to count. It comes in an enchanting bottle shaped like an apple, and the name gives it away. This scent has gotten me too many compliments to remember. With hints of almond, jasmine, vanilla, musk, and other notes, it is a keeper for me. I typically wear this perfume during the colder months since it is a darker flavor. My mom even likes this scent, and she is complete opposite when it comes to her favorite fragrances. One spritz is all you need (but I love going above and beyond with two), and it will last all day long. If you could put extravagance into a bottle, this would be it. I actually received this in a Glossybox a little over a year ago. Similar to Hypnotic Poison, this scent touches the darkest parts of your soul. While the Dior perfume has hints of light, this fragrance is goth in a bottle. It gives off hints of jasmine, orange blossom, vanilla, plum, cinnamon, wood, and other spicy smells. I would say this veers more towards a masculine scent, which is something that I enjoy in my perfumes. Again, a little goes a long way (so don't get carried away). If you could put Kat Von D in a scent, this would be it. You get the feminity with the vanilla and jasmine while adding a masculine scent of wood into the mix. This perfume was the first extravagant purchase I ever made. I couldn't even tell you why I decided to buy it, but something told me I would regret not making the investment. While I haven't worn it in a while, it will always be one of my favorites. Just like the rest of the fragrances, it has a masculine/feminine scent that enchants the nostrils. With hints of sandalwood, musk, pepper, and cashmere, this fragrance is more of a unisex perfume than the others. It definitely is not a perfume for everyone. However, if you are into the musky smells in your fragrances than I could almost guarantee you'll fall in love with Reveal. You won't find this below because I couldn't find it on the site (however I'll leave a link here). I actually bought this fragrance when I attempted to be an Avon representative some years ago (mostly for the discounts). To me, Avon creates scents that smell of old lady (no beef! I'm just not into those). However, Mark is a brand is its own entity. This scent is unlike the others in the fact that it doesn't have any dark roots hidden in the fragrance. I love this body mist for the fact that it smells of a hot summer evening. It has hints of papaya, dark rum, and velvet woods that make you crave a beach and cocktail. Since it is a body mist, you do have to spray more than the others, but it is definitely worth it. Besides my Hypnotic Poison, this scent has always gotten many compliments. It is the true definition of summer in a bottle. It gives this exotic twist with the rum that pairs perfectly with the other notes in the fragrance. 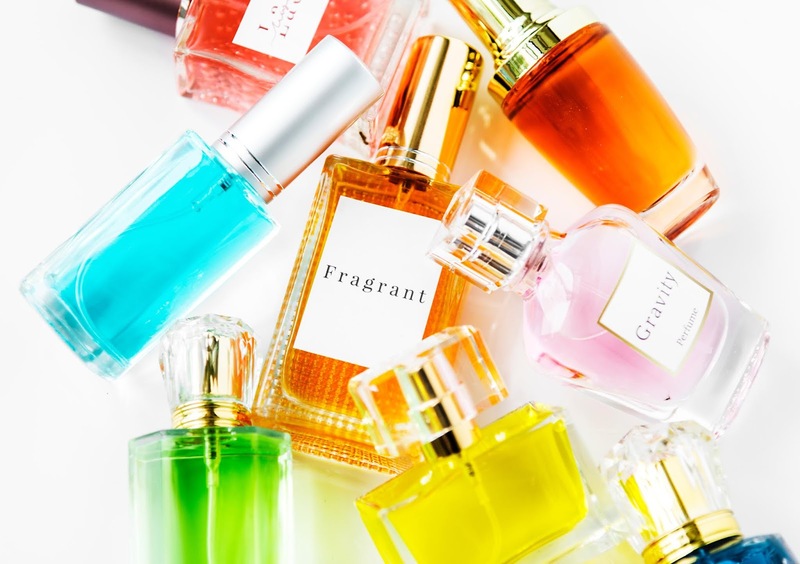 What are some of your favorite fragrances? What do you look for in a perfume? Let me know in the comments below. I know everybody is different, but if you are into those darker notes, then I'm confident you will love everything on this list.